I had been gardening in containers for over 20 years. So, when we finally bought our house 2 yrs ago I thought I would be mostly done with potting soil as I am a GROUND gardener now! Well, I still like pots. They're good for moving up baby plants to a larger pot before putting them in the ground. AND they are good for rooting cuttings! 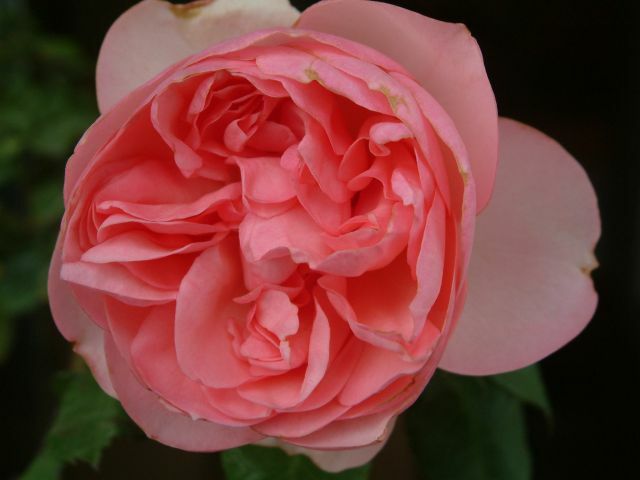 **Please be advised that it is not allowed to propagate patented roses. ** I mostly propagate hard to find roses or very old roses to give away or donate to the rose society. It IS a lot of fun. The rooted cuttings shown here are from the rose Alba Meidiland. I used to have it at our old house but had to leave it in a whiskey barrel that I couldn't move. Last January I took a BUNCH of cuttings of the it that my friend and client Alice grows. I think ALL of them rooted! There were 8(7 shown as I had already potted one up when I decided to photograph). I think that's my record. If you've never rooted roses from cuttings before you wouldn't know that some TAKE and some DON'T. I was surprised to separate SO MANY with roots! I probably should have separated them sooner. 9 months is awhile! But I didn't until today. 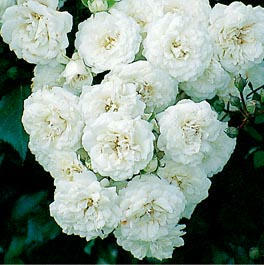 Alba Meidiland is a double flowered groundcover rose. Maybe that's why so many rooted as you can't keep it down! It is very beautiful and I was sad to have left it behind. It IS available commercially. The other rose that I separated today was Guy de Maupassant which is now called Seduction. Either name, YOU CAN'T FIND IT ANYWHERE! I got that rose at a rose society auction about 10 years ago. My friend Jennie Gaines(who we lost last year) and I were bidding against each other for it. She won, as she always bid on MANY auction roses. I was so mad at her that I yelled at her in the parking lot. And SHE GAVE ME THE ROSE! That's how Jennie was. I grew it for about 8 years and by then it was in a large 15 gallon can. So I was doubly disappointed when someone stole 6 rose bushes in pots from my front yard. I had 250 roses in pots waiting for the right time to plant(grass had to me removed, Bermuda grass had to be Round-Up'd, too hot weather). So I was able to take cuttings from my friend and client Joanne's garden. 2 rooted! Yay! So try to root some of your favorite roses. I do some in January when the roses are severely pruned, cuttings aplenty! And I have done some in warmer weather as well. I just dip the ends in a rooting hormone, place the cuttings in a pot in potting soil. And sometimes I put a cut off water bottle upside down over the pot to make a little greenhouse. Remember, that some take and some don't.